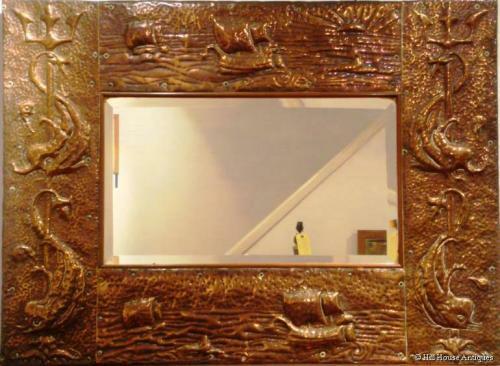 Superb large rectangular Newlyn school type Arts & Crafts copper clad and wood framed mirror with typical repousse work of stylised fish/dolphins, tridents, boats and rising sun; c1900. Just under 36" wide and 26.5" high overall. Mirror plate itself approx 21.25" by 12.25"